Project: K.I.T.T. : See How Smart We Are? While we were at Menards today we decided to get some more 1" brushes since we are running low. We started to grab another dozen brushes and then Sara asked what all needs to be painted yet. I started listing off the inside of the front fenders, the wheel wells, the steering linkage, track/Panhard bar brace, gas tank, calipers, the cowl area and differential cover. Sara put the dozen brushes back and grabbed the 36 pack. She pointed out if we bought a dozen brushes two times it would cost more than the pack of 36 brushes. I did find a way to successfully save and reuse a brush a second time with the POR-15. 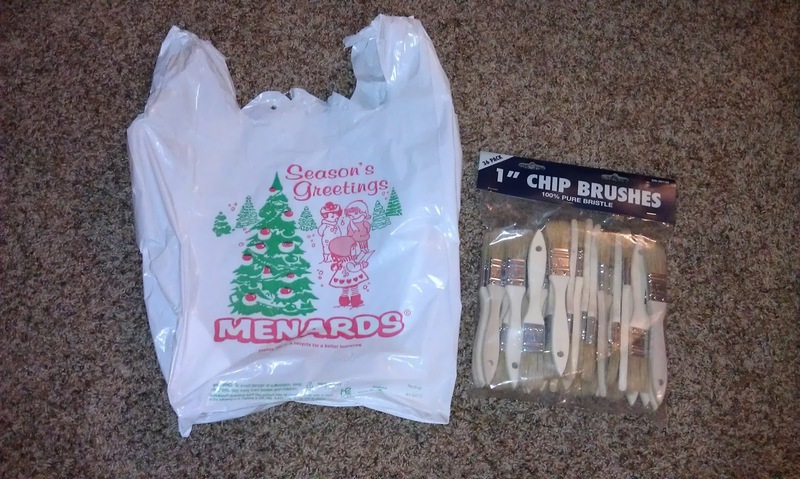 I found that if I wrap and roll the brush in plastic from a Menards bag, it will keep for use in the second application. The brushes and POR-15 cans seem partial to plastic from Menards bags; the Walmart bags did not have the same successful results. The only thing worse than spending weeks scrubbing all the rubber undercoating off the underbody is finding out there is an easier way to do it! 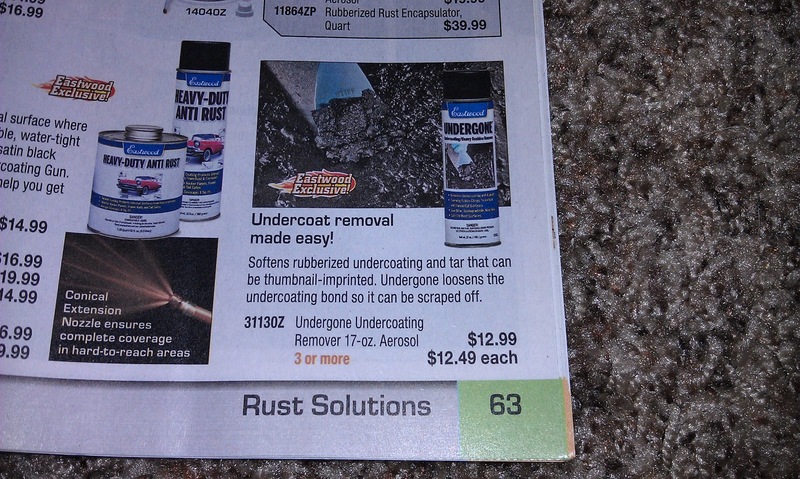 I got an Eastwood catalog in the mail today and this happened to be the page it flipped open to. Grrrrrrrr... Hey look! There's that conical extension nozzle I was talking about getting for the inside of the frame areas I have left to coat.